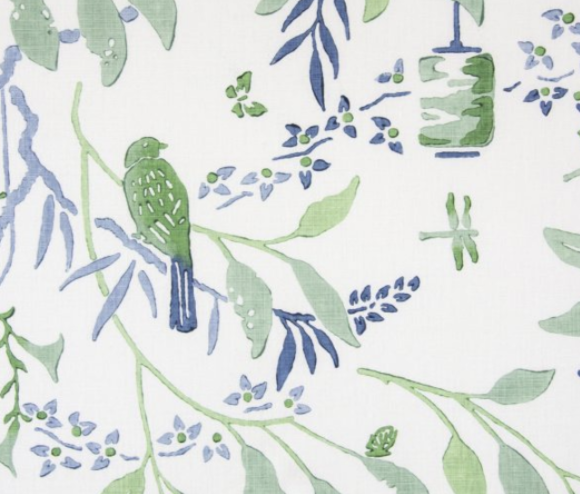 Birds, fireflies, and flowers… oh my! I love how the color scheme in this fabric makes the objects in the fabric subtle and sweet. Vibrant and whimsical, Katie Ridder’s take on peony is both eye-catching and fun. 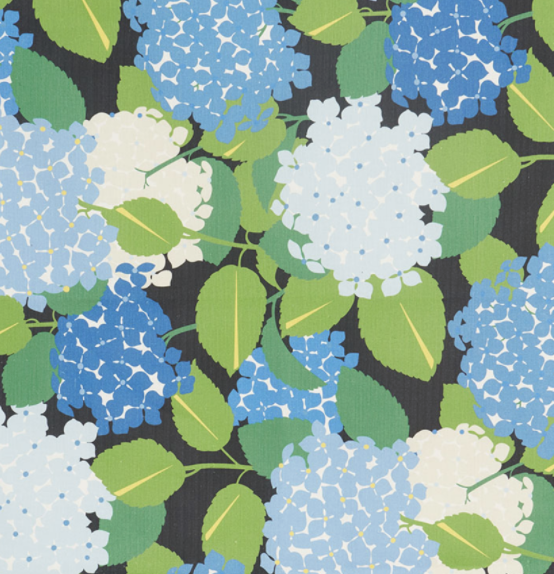 One of my favorite flowers are hydrangeas, and Schumacher hits it out of the park with this bold print! This stunning Lee Jofa textile is a favorite at NWID. 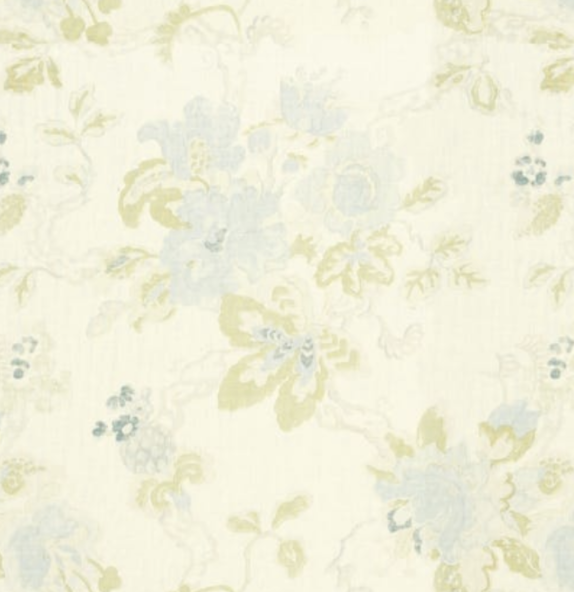 Used for bed shams or euros, this fabric is an excellent choice to complete your bedroom look. Delicate and soft, this textile appears to grow with each yard.